For many of us, going to college after high school was a no-brainer. After all, workers with a bachelor’s degree earn 66 percent more over their lifetimes than those with only a high school diploma. The decision to go to graduate school, however, isn’t always so clear. A master’s or Ph.D. should theoretically propel your career into bigger and better opportunities. But in many cases, it also means a bigger student loan balance that could negate any higher earnings. Before you apply to grad school, be sure you’re making the right choice by answering these four important questions first. 1. Why do I want to go to graduate school? The first step is asking yourself why you want to attend graduate school in the first place. What outcome do you hope to achieve by earning a graduate degree? Graduate school takes a lot of time and energy, not to mention money. Before applying, identify tangible goals you have for yourself. Perhaps the degree will help you land a promotion in your field, or maybe it’s necessary to start your career (as it is for doctors or lawyers). Whatever your goal, make sure a graduate degree is really necessary for achieving it. Also, consider whether you’re emotionally invested in the field. Without some passion for the subject matter, you won’t have much to sustain you through a year or more of study. Graduate school is intensive. If you’re not fully committed, you’ll experience all the stress without any of the personal fulfillment. 2. How will this degree advance my career? A graduate degree should push your career forward and increase your earning potential. If it doesn’t, you could find yourself in the same position after graduation as you were before you started. You could even end up a year or more behind your peers if you paused your career to go back to school. The degree should propel you forward, not stall your momentum. Some jobs require advanced education, but not all careers call for graduate degrees. If you’re a computer programmer, for instance, you could make a median salary of $79,530 with just a bachelor’s degree. Plus, online coding bootcamps such as those from General Assembly and Bloc may be all you need to build a portfolio and land a more lucrative job. If you’re interested in liberal arts, a master’s degree may not help you get a job outside of academia. You may have a passion for English literature or art history, but unless you want to be a college professor, you may have trouble finding a practical application for a master’s in those subjects. 3. What’s the expected return on investment? The cost of grad school is another key consideration. Beyond tuition, add up what you’ll spend on materials, student fees, and living costs. If you’re taking out student loans, calculate exactly how much debt you’ll accrue. Then, think about how you’ll pay back those loans. A good rule of thumb is this: You should make more in the first year after graduation than you’ll take out in loans. If you take out $50,000 to attend, your starting salary after the program should exceed $50,000. If that’s the case, you should be able to handle a 10-year Standard Repayment Plan. Of course, some programs cost a lot more to attend. The average medical school degree, for example, costs $183,000. 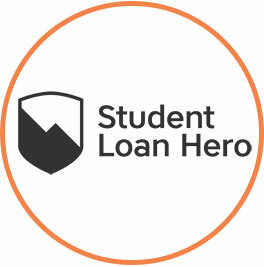 If you’re taking on that much debt, alternative repayment methods for federal student loans such as Income-Based Repayment or similar income-driven plans can help. Whatever the cost of your degree, consider how you’ll pay it back after you graduate. If it doesn’t increase your earning potential, the return on investment may be too low. Higher education has lots of personal benefits. But if you’ll be taking on student debt, you must consider the financial realities of your decision. Read more about making the decision to attend grad school. 4. What kind of program will help me succeed? If you’re unsure about attending grad school, thoroughly research programs. There are thousands of graduate schools across the U.S., plus many more programs abroad. See which ones would be the best fit. Maybe you’re looking for a small program with a lot of face-time with professors, or perhaps you’d prefer a large school with state-of-the-art facilities. Often, we get caught up with rankings and getting into the “best” school we can, but fit is a two-way street. If a program is hyper-competitive, you could end up too stressed to get much out of it. If it’s small and remote, you might miss out on networking with peers. Beyond a program’s culture, learn about its outcomes for graduates. Are most students employed within a few months? The best programs help you find a job and handle the transition back into the workforce. Going to graduate school is a big decision and it’s natural to have some uncertainty. However, don’t assume that an advanced degree is always a sound investment. With all the alternative continuing education programs these days, you don’t always need grad school to learn new skills. But for some jobs, a master’s or Ph.D. may be just the qualification you need to establish your career or get a promotion. Before applying, write down your specific personal and professional. If the program will help you achieve them while improving your financial situation, you should feel confident in your decision to go back to school.